Thirty-two seconds. That's how long it took for Delon Sanchez's life to end. One minute he was the best bronc rider in the Panhandle and the next he was nothing. Knee shattered, future in question, all he can do is pull together the pieces...and wonder what cruel trick of fate has thrown him into the path of his ex, the oh-so-perfect Tori Patterson. Tori's finally come home, intent on escaping the public eye. It's just her luck that Delon limps into her physical therapy office, desperate for help. All hard-packed muscle and dark-eyed temptation, he's never been anything but a bad idea. 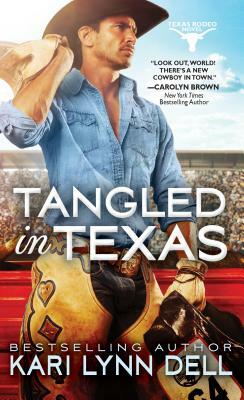 And yet, seeing him again, Tori can't remember what made her choose foolish pride over love...or why, with this second, final chance to right old wrongs, the smartest choice would be to run from this gorgeous rodeo boy as fast as her boots can take her.